It’s the gift-giving time of year again! If you’re like me, you’re promoting your books online, on an ongoing basis, through sites like Facebook and Twitter (as well as your own website and email newsletter). Of course, your friends and family see your frequent pitches, and want to encourage your talents! After you stumble home in a turkey coma, you login to your author account on your publisher’s website, excited to see your royalties…but there are no new sales for your book. Zilch. Nada. It’s Black Friday and your rep (let’s call her Angie – yes, that’s me!) is working the holiday weekend because it’s their busy season. Angie immediately responds, confirming that, unfortunately, there are no new sales of your book. Angie is sad because she’s seen this happen countless times over her 18-year career in book publishing. She’s also tense because she knows this conversation is going to go one of two ways. Either you’re going to believe her, and approach Nana Mary (which will be a very awkward exchange) or you’re going to get very angry with Angie for even suggesting that Nana Mary would ever lie to you about buying your book and you may even fire off a reply that will threaten Angie with legal action for not crediting (non-existent) sales to your author account. Angie asks you to confirm that Nana Mary purchased your book by requesting a copy of the email receipt that was sent to her. Angie explains that every buyer receives an instant receipt via email when purchasing a book from your publisher. Since Nana Mary is on her laptop, you ask her to pull up a copy of her email receipt for the books, and to forward it to you. Nana Mary stumbles again, saying she never got an email receipt. You thank her, tell her once again how delicious the turkey was, and hang up. You fire off an email to Angie, telling her that the company never sent your Nana Mary an email receipt. You give Angie your Nana Mary’s full name, address, phone number, and email address. Angie responds quickly. They have no record of that person in their database. She gently tells you that Nana Mary has never purchased a book from them. You’re embarrassed, but still hopeful that the sale will eventually end up in your author account. You decide to wait a few weeks to see if that will happen. Perhaps Nana Mary actually bought copies from Amazon.com instead? Those sales are processed by the book distributor, Ingram, and there’s a 3-4 month delay with Ingram sales being paid to your publisher. You’re confident that there really are two copies of your book wrapped up under Nana Mary’s tree. You push it out of your mind until Christmas Day. You show up at dinnertime at Nana Mary’s and the smell of honey baked ham is wafting through the house. Grampie is sitting in his recliner, reading a book. You remember the book sale fiasco, and waiver from happiness that Nana Mary really did buy your book to frustration with your publisher. You greet Grampie and ask if he’s enjoying the book. Later, you can ask to take a photograph of the book so you can send that to Angie the next day to prove the sale really occurred. You suddenly realize what happened. Nana Mary was just trying to make you feel good. She didn’t buy your book. She had no intention of buying your book. She lied because she wanted to make you happy, just like she lied about how good you looked with that new perm in the 80’s. The next day, embarrassed, you write to Angie, and tell her what happened. Angie responds with kindness because, like I said, Angie has seen this scenario play out in numerous ways, time and time again, for the past 18 years. Over the years, in every case where a sale from a relative was never reported by Ingram or us, it has been the result of the relative fibbing to the author about buying their book so as not to hurt the author’s feelings. I was surprised when I first heard of this happening, but then it happened again and again…and again. It’s very sad. If this does happen to you, don’t feel alone. That’s what relatives do. The lie to save us from hurting. They lie about buying our books, they lie about liking our writing (NEVER ask a family member for an honest assessment of your writing – you will rarely get that! ), and they lie about perms, jeans making us look fat, and so many other things. If this happens to you, remember to not fire off angry emails and warnings to your publisher, Amazon, or any other firm. Instead, gently ask your relative for a copy of their receipt. If you don’t have a copy of the receipt from your relative, that sale very likely did not occur. And, without a receipt, it’s impossible for your publisher to track down a sale. On a personal note, I avoid this scenario altogether now by simply offering free copies of my books to my family members, but only if they express a true interest in receiving a copy. It doesn’t hurt my feelings when a relative doesn’t buy a copy of my book but it does irk me if they request a free copy, but then don’t bother reading it. Ask for permission to send them a copy and tell them you’re doing it so they can read the book, and then, if warranted, tell their friends about it, online and off. Let them know that it’s okay to refuse the free copy because you can only send copies to people who have the time to help you get the word out about your book. 4 Responses to "AWKWARD HOLIDAY GATHERINGS! 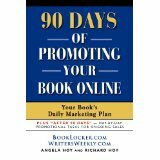 When Relatives Say They Bought Your Book (But They Didn’t) by Angela Hoy, WritersWeekly.com, BookLocker.com, Abuzz Press and PubPreppers.com"
Comment on Awkward Holiday Gatherings: It isn’t just books that relatives don’t read. I write short articles (they get published), and they aren’t difficult reads. Except they must be downright ponderous. My late husband never read them; my sons and daughter-in-law, who all tell me they love the way I write, never read them either. Others compliment me — perhaps I’m not entirely hopeless. Does this familial ego-busting happen to others? Unless the book was really specialized, like “The Annotated History of the Dinkley Family in Eastern Ohio from 1880 to 1930”, I’d be really disappointed if a couple of books bought by relatives had even a small effect on overall sales! As always, an entertaining read. Thanks! Happy Thanksgiving!